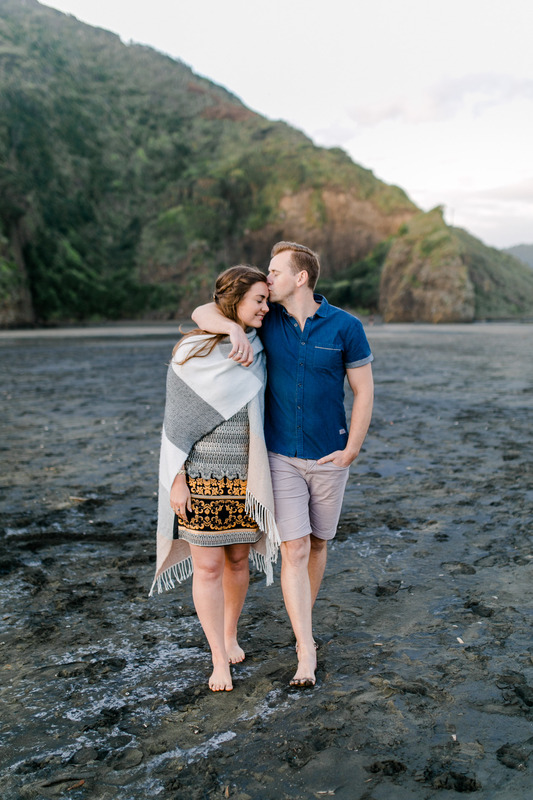 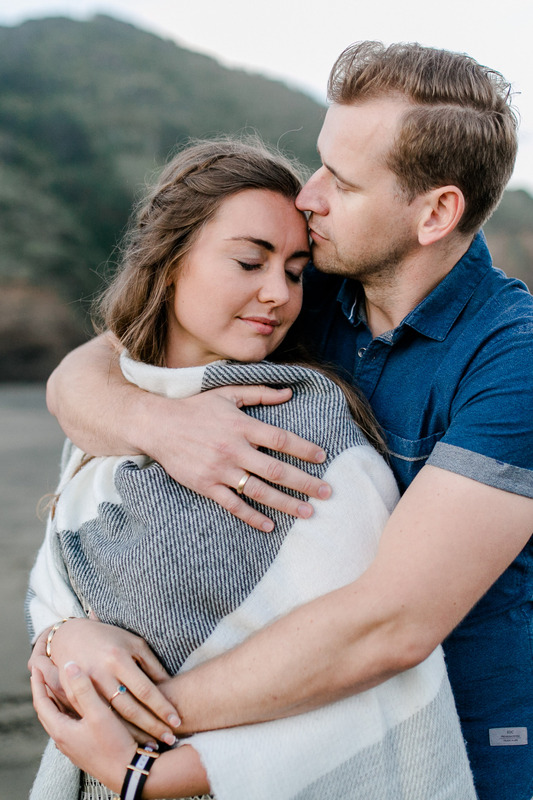 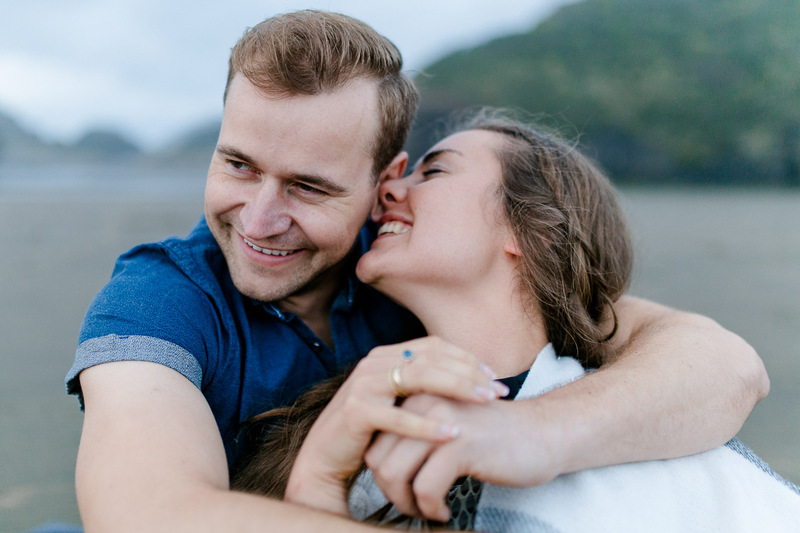 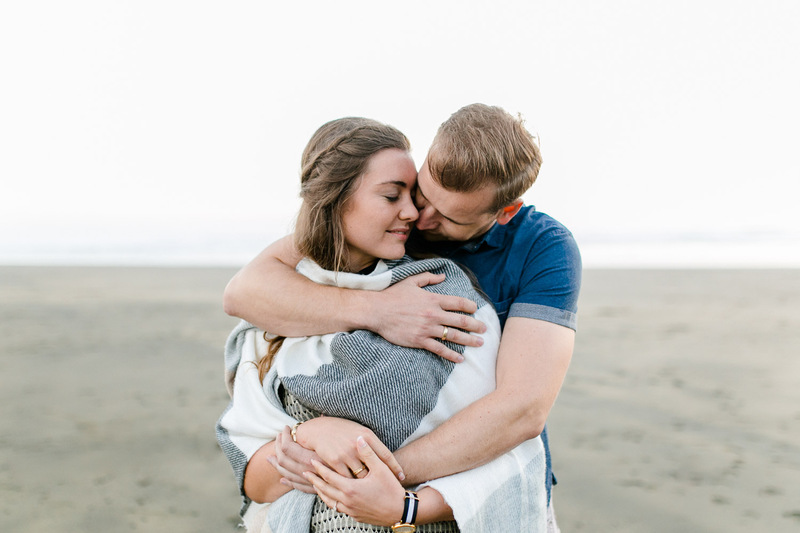 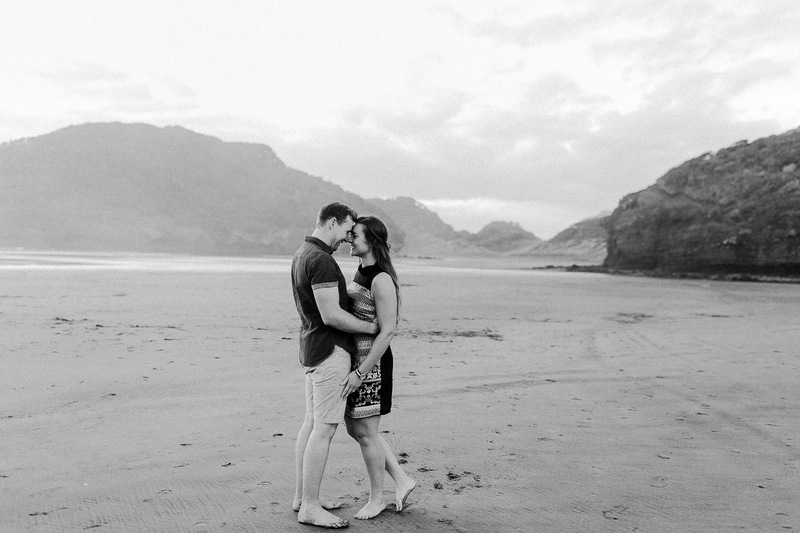 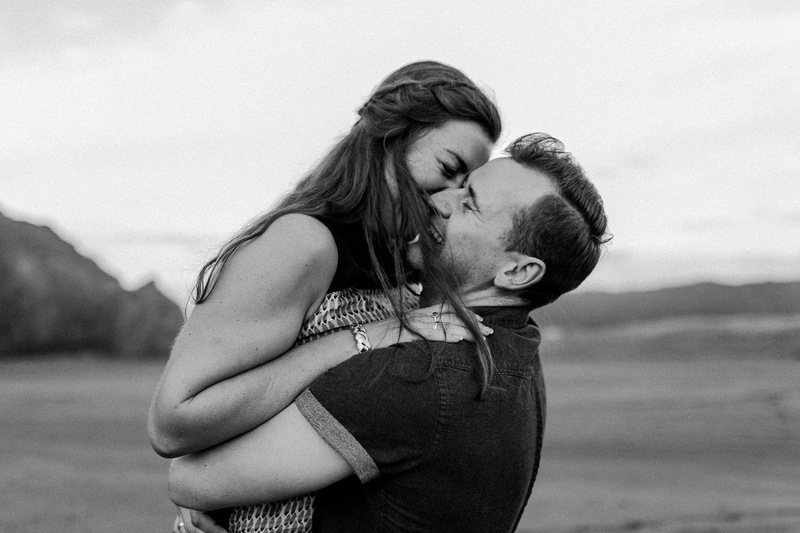 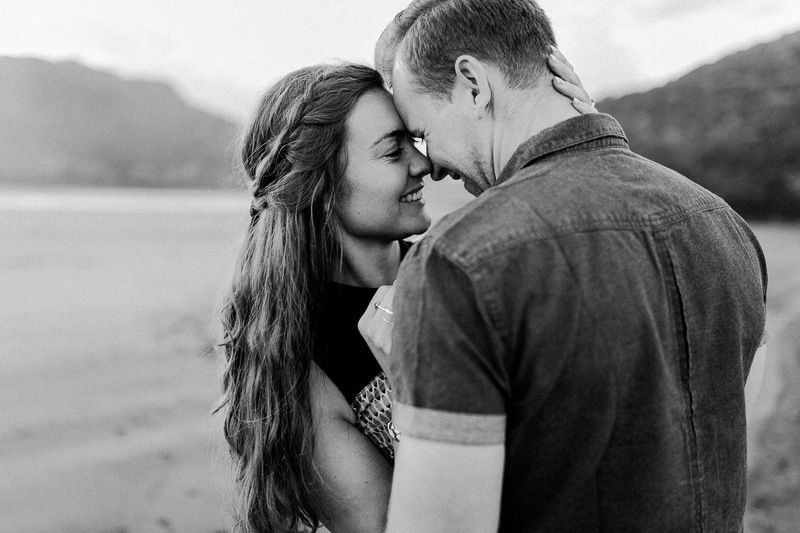 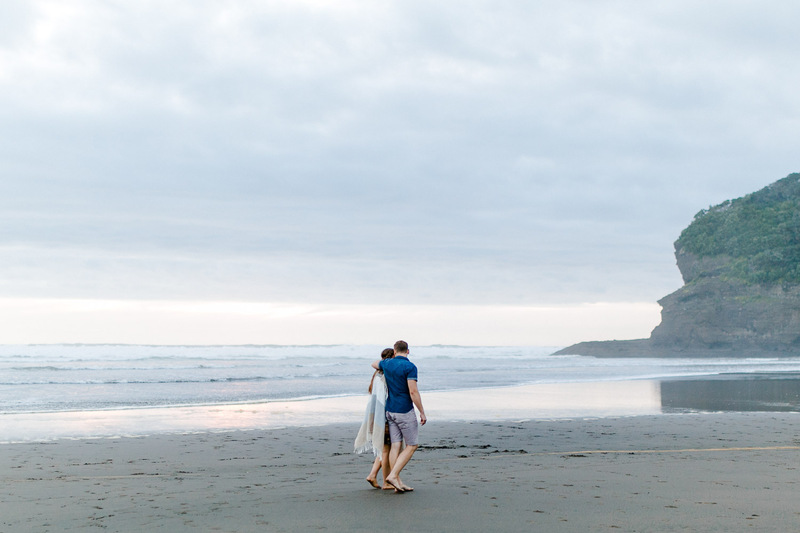 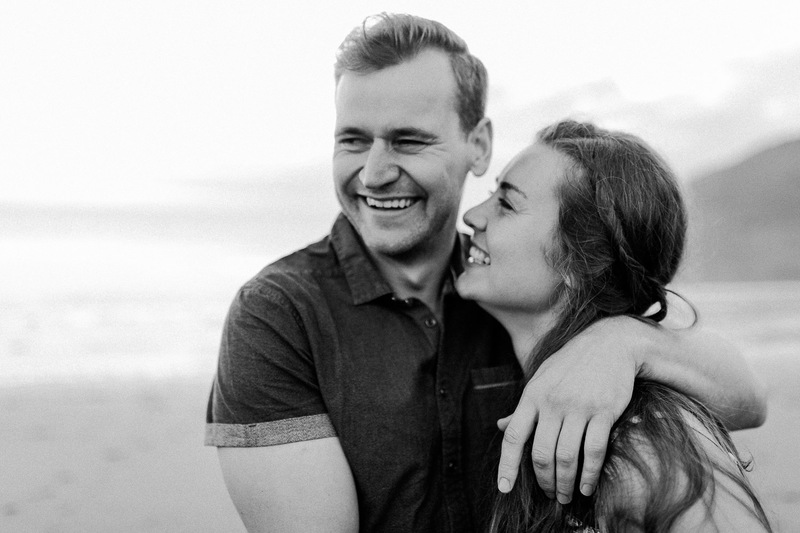 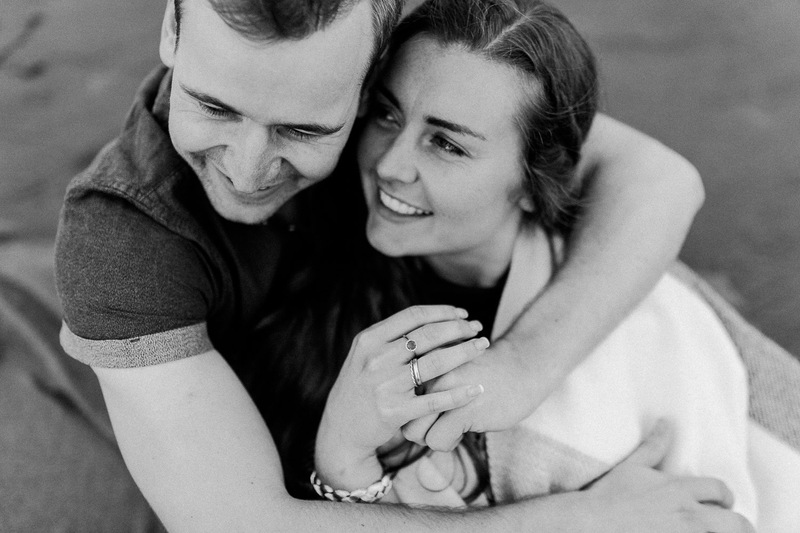 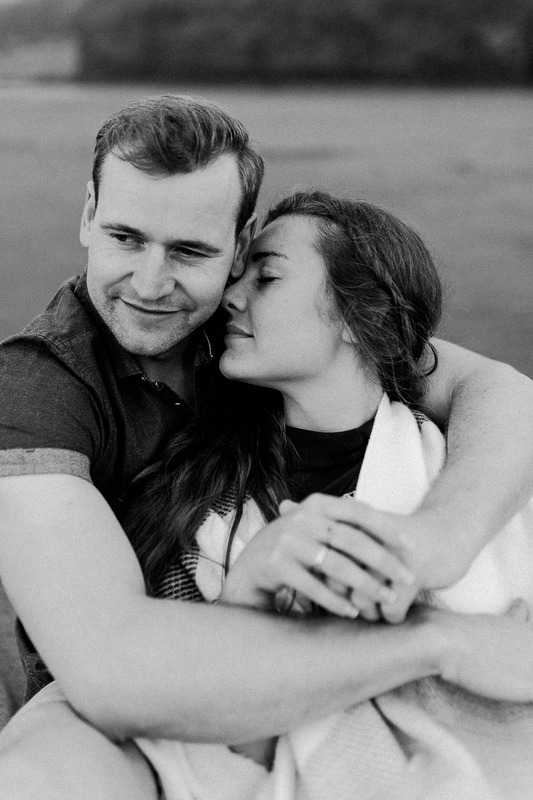 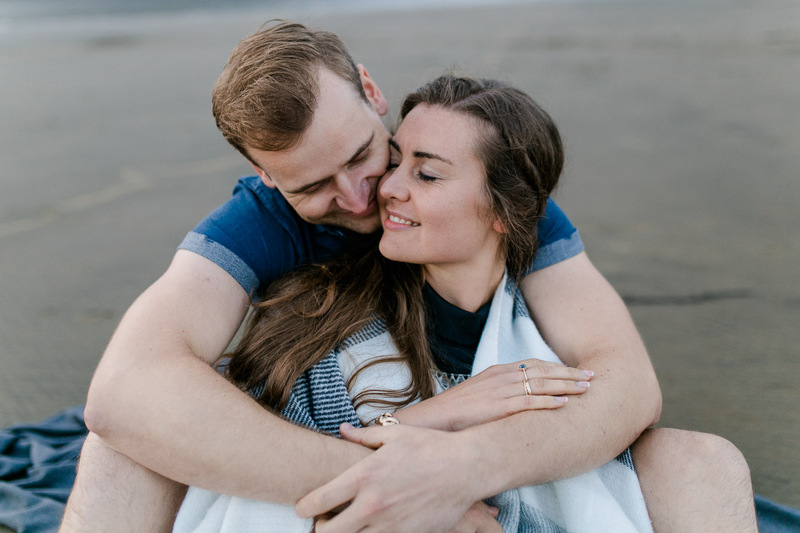 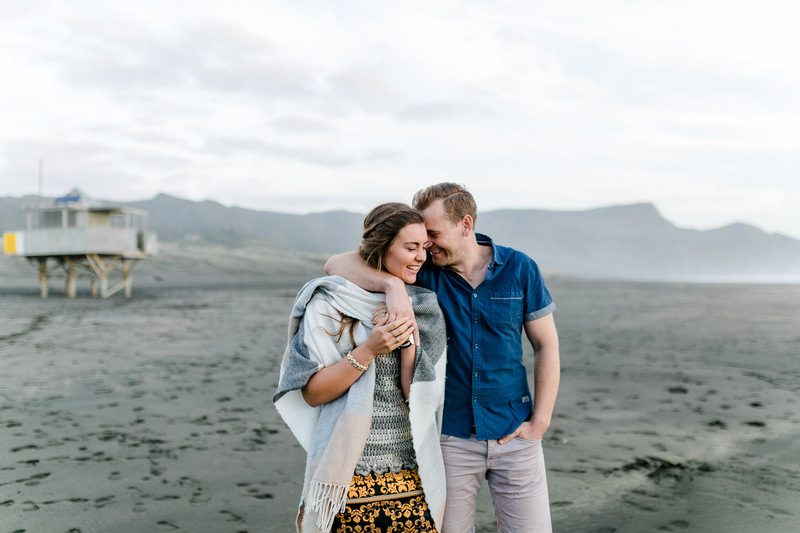 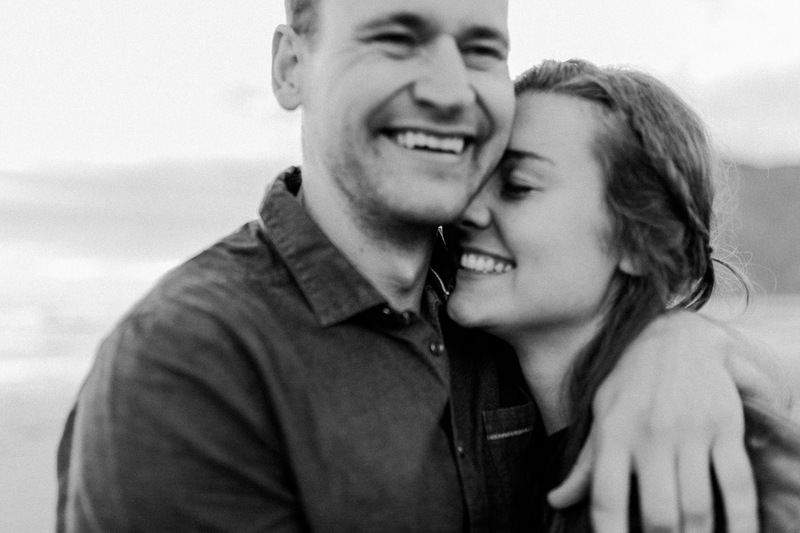 Kathi and Willi did what probably all newlyweds would love to do: right after their wedding they started a wonderful journey of 4 weeks, visited Thailand + then they decided to visit the incredible country New Zealand. 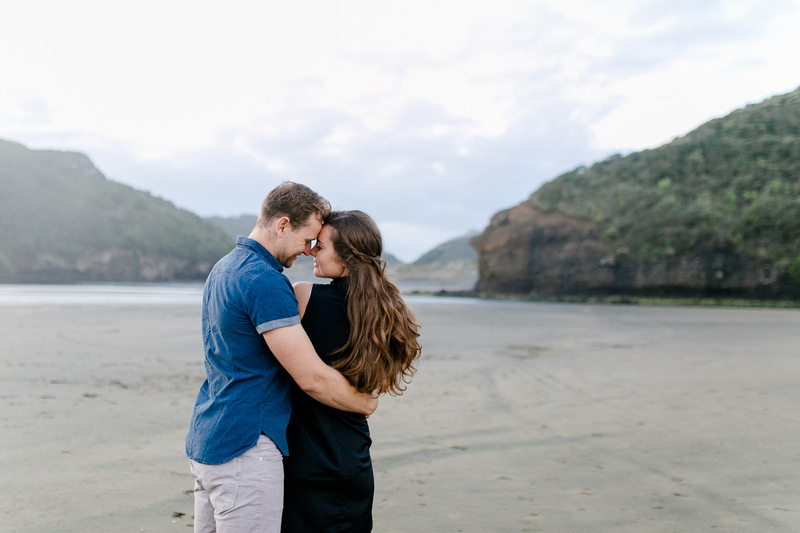 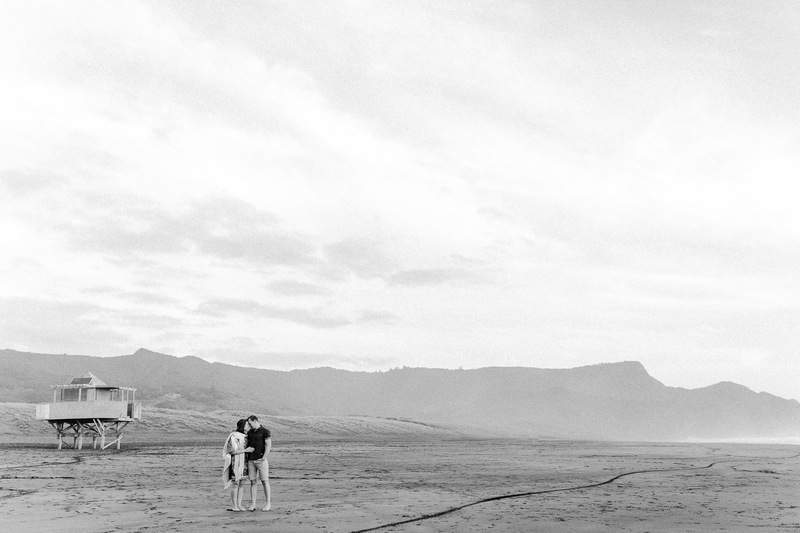 They rented a Campern and explored this wonderful country, enjoyed their life as newlyweds + had cozy evenings in their car + were fascinated by this wonderful landscape. 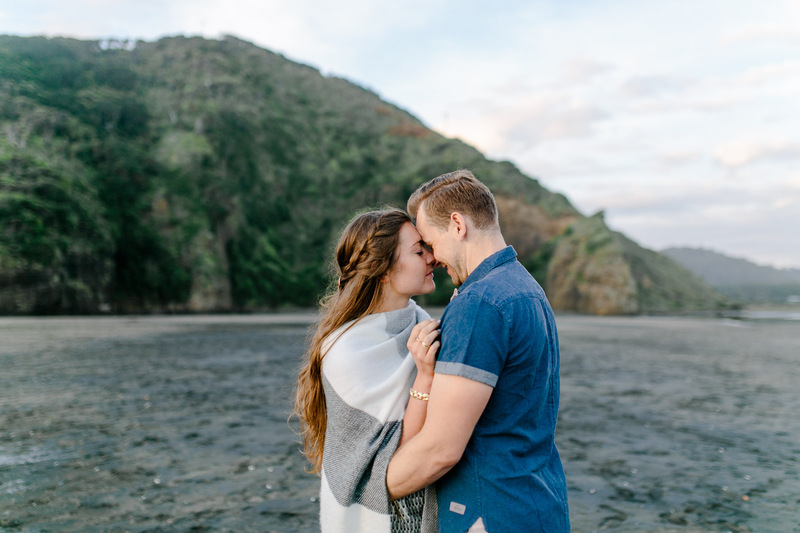 It was so great to meet these cute lovebirds + to enjoy a few last days of their trip with them in Auckland. 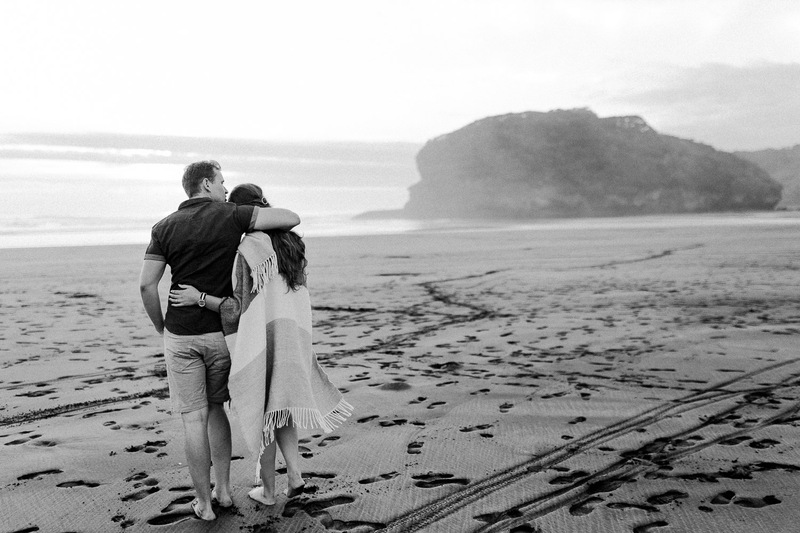 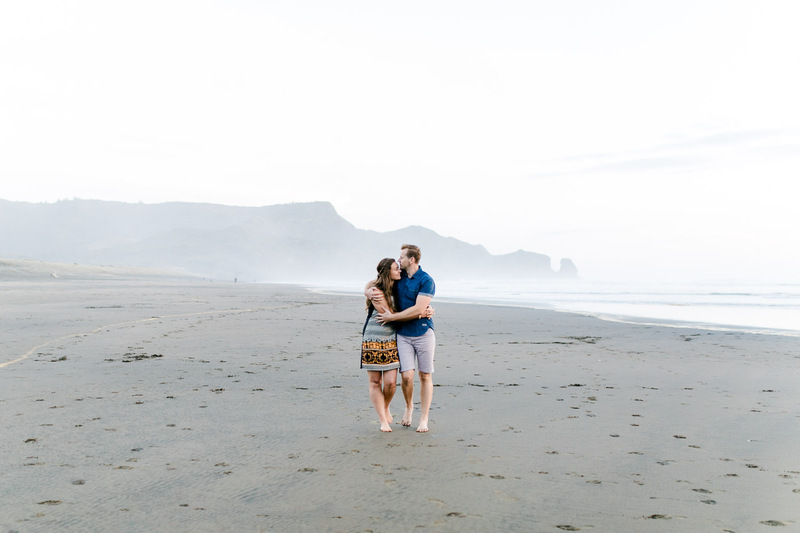 Of course we had to show them one of our favorite beaches: Bethells Beach with its black sand, the rocks around and certainly the most beautiful sunsets on this earth. 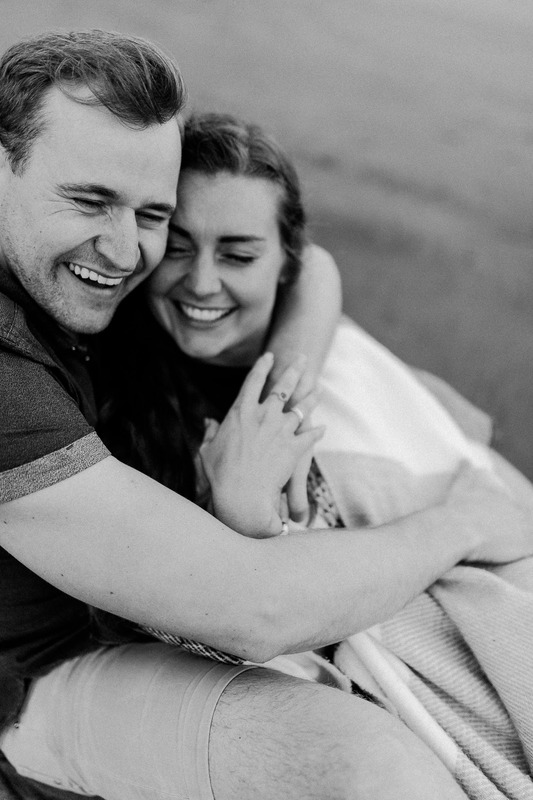 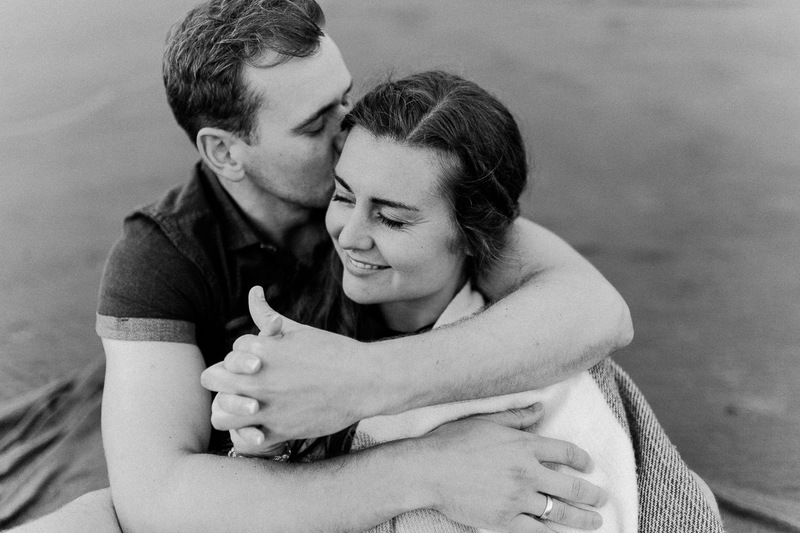 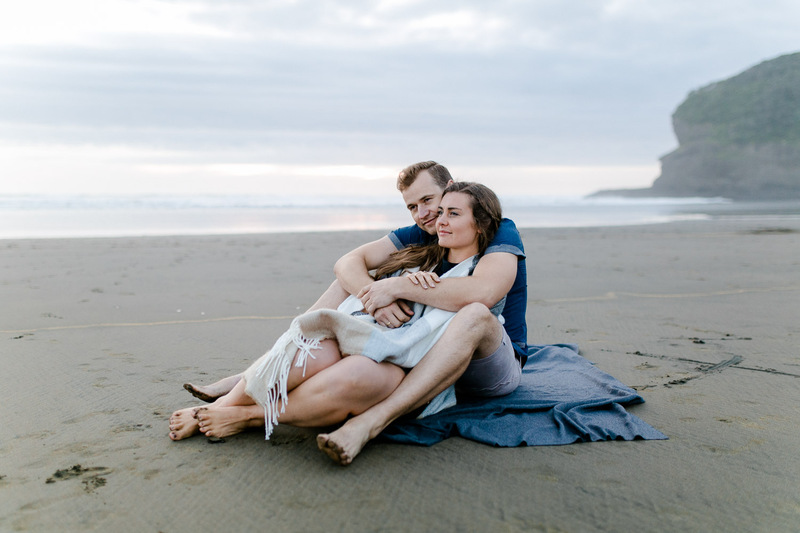 We had a little 15 minutes-shooting during sunset and enjoyed their coziness to the fullest.